There’s lots of news affecting real estate investors…and most of it doesn’t have anything to do with real estate. In this episode, we read between the headlines to what’s in the news that real estate investors should be paying attention to. In case you were in a coma the first week in November, the Republicans took over the U.S. Congress by winning a majority in the Senate and strengthening their hold on the House of Representatives. Maybe that makes you happy. Maybe it doesn’t. But it doesn’t really matter how you, or we, feel about the results. It happened. So the next questions are…what does it mean, what happens next, and how is it likely to affect real estate investors? We think it’s pretty obvious the electorate isn’t happy with the state of the Union. After all, happy prosperous people don’t vote to rock the boat if everything is smooth sailing. So all’s not well on Main Street in spite of a booming stock market, allegedly low unemployment and continued low interest rates. Since your tenants are part of the electorate, we’re guessing their pocket books aren’t overflowing with joy…or money…right now. So we continue to favor affordable markets and product types, and nothing in the election or other news changes our mind. As we discussed in a recent blogpost on Alan Greenspan’s Shocking Confession, Alan Greenspan seems to agree that Fed policy hasn’t done much to help the real economy. No wonder the voters threw a fit. Also, Greenspan said that the timing of rising interest rates might be outside the Fed’s control. If so, this affirms that it’s a good idea to grab as much cheap money as you can reasonably control with conservative cash flows and lock in fixed rates for the long term. Considering gold was tanking as he was talking, it seems like Alan Greenspan is concerned about “the policies conducted by governments”. So in spite of the dollar’s recent surge and gold’s recent decline, for long term investors, it seems that even Alan Greenspan is a fan of real asset investing. So the whole world watches the Fed announce tapering and then, to many pundits’ surprise, actually do it…all the while touting the “robust” U.S. economy (funny…seems no one told the voters, who apparently missed the memo). Then, as soon as the Fed’s expected tapering is done, the Wall Street Journal reports Japan’s “stunning” announcement of a MASSIVE stimulus package. According to the Wall Street Journal article, “Japanese policy makers jolted global markets” by taking “Japanese economic policy into the uncharted territory of extreme stimulus“. For perspective, the QE that the Fed just finished started at $85 billion per month and tapered down. That means the Japanese QE is 27% bigger than the U.S. program at it’s PEAK. That’s massive, especially considering that the Japanese economy is only 1/3 the size of the U.S.
First, we’re in a GLOBAL economy. Just think about how much foreign money is buying U.S. stocks, real estate and bonds. Not to mention, how many Japanese companies employ U.S. workers? And how many U.S. companies earn profits selling to Japanese businesses and consumers? In a global economy, when a major component (Japan is #3 behind the U.S. and China) fails, EVERYONE is affected. Right now, no one is saying Japan will fail. And if it did, no one knows for sure what that looks like for everyone else. But it bears watching, which is why we are. Also, Japan has been a major purchaser of U.S. Treasuries. In fact, according to the Unites States Treasury website, Japan is the second largest owner of U.S. debt behind China. If we had to guess, we wouldn’t be surprised to see some of all that stimulus end up in U.S. Treasuries. After all, if the Fed and China are curtailing purchases, either bond prices will drop (interest rates will rise)…or someone (Japan?) will need to fill the void. The point is that when ANY central bank prints gobs of money and buys bonds, it affects interest rates for everyone…including Main Street real estate investors. In our travels, we talk to lots of Main Street real estate investors and agents. We hear reports all the time that foreign buyers concerned about the safety of their money are parking it in U.S. real estate. Obviously, when any central bank is printing money like crazy, smart investors in ANY nation move quickly to get into real assets. But here’s where it gets a little complicated. Right now, the dollar is “strong” because major currencies like the Yen and the Euro are being destroyed faster than the dollar. So any commodity denominated in dollars gets cheaper (gold, silver, oil, etc). Worse, there’s strong sentiment, if not substantial proof, that nearly every asset market is largely manipulated by central banks, which makes investing in many asset classes a risky business. So, in addition to the cultural appeal of real estate for Asian investors, even die-hard paper asset investors are looking at real estate as a solid place to store and build wealth. In addition to foreign capital moving into U.S. real estate, lending is starting to loosen up both in government and private loan programs. This means more purchasing power moving into real estate. We think this is bullish for real estate prices in the near term, though it will be mitigated by the weakness of U.S. home buyers. But before you get too excited about all the equity happening to you, remember to pay attention to rents. Because right now, asset values are growing faster than incomes. This means housing is becoming less affordable for both renters and home buyers. The last time this happened, lots of us made tons of money on appreciation (get ready, because equity is happening again), but real estate quickly went from being a sound investment to simply being another hot money wave to ride. We’re not saying don’t ride it. Quite the contrary. Just remember to structure your deals so that when the wave goes out again (and it will)…that you can hold on for the long term. When the tide goes out, everyone can see who’s been swimming naked. Meanwhile, we’ll be here watching the headlines for Clues in the News. 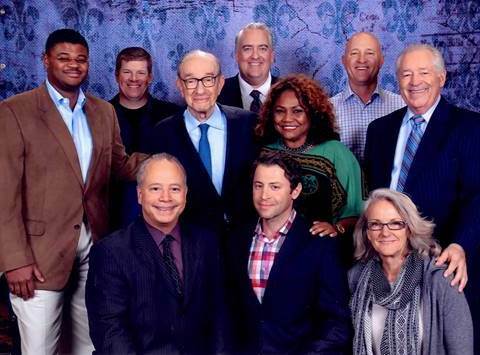 The Real Estate Guys™ just returned from the New Orleans Investment Conference where we (and some of our listeners) had a chance to hear from the Maestro himself, Dr. Alan Greenspan. If you’re a long time follower of The Real Estate Guys™ radio show and blog, you know we pay close attention to the Federal Reserve because of it’s strong influence on interest rates, the value of the dollar, and asset prices (like real estate). In fact, many economists and market pundits believe Alan Greenspan’s policies when he headed up the Fed (1987 to 2006) led to the real estate boom and ultimate bust in 2008. Coming into the conference, we’d heard rumors that Greenspan was singing a strikingly different tune…about a great many things…than when he was at the helm of the most powerful financial institution on the planet. Now it should be plainly obvious that Fed policy is hugely important to everyone who owns an asset, runs a business, earns a paycheck, has a savings account or pays on a loan. So now that he’s on the outside, knowing exactly how it works on the inside, what is Alan Greenspan saying today about the Fed, the dollar, the future of interest rates, and what investors can and should do? First, he says the bond-buying program known as QE didn’t help the “real economy” (i.e., jobs for the middle-class, real wage growth, or increasing purchasing power and consumer demand). However, he admits QE did boost asset prices. So stocks, bonds and real estate are all artificially higher because of easy money. In other words, the Fed helped the rich get richer, while doing nothing for the middle-class and poor. Shortly after Greenspan’s comments, the Fed announced the end of its bond-buying program known as Quantitative Easing (QE). Does this mean trouble is coming? As real estate investors, not only do we care about jobs, wage growth and purchasing power (after all, it’s hard for unemployed poor people to pay rent), but we also care about interest rates. So what does Alan Greenspan have to say about the future of interest rates? We’ve covered this in detail in previous blogs (just search our site for “Fed”), but the short of it is that without the Fed using QE to create demand by bidding (and buying) U.S. bonds, someone (the market) is going to have to step up and buy them…because if they don’t, the lack of bidding will cause bond prices to drop. And when bond prices drop, interest rates rise. So if the markets don’t bid strongly enough on bonds, then no matter what the Fed says, the markets will decide when and how much interest rates rise. In other words, how the market feels about the quality of the debt (the likelihood of being repaid) AND the quality of the currency the debt is denominated in (purchasing power) makes a BIG difference in what yield investors will demand from the borrower. Right now, investors still consider U.S. Treasuries as “safe”. That is, there’s very little probability of default…in spite of past political posturing over debt ceilings. That’s because the Fed can print as many dollars as it takes to pay off the debt. But when that happens, it reduces confidence in the dollar itself (the quality of the currency). Because just like when a company issues more shares of stock against the same earnings and assets, the value of each share (in this case, dollar) is diluted. 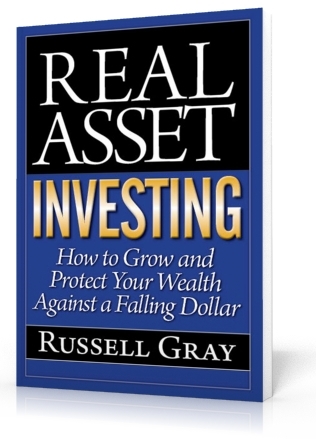 As we chronicle in our special report, Real Asset Investing – How to Grow and Protect Your Wealth in the Face of a Falling Dollar, there’s already been substantial moves away from the dollar and dollar denominated assets and trade. China has signed bi-lateral currency swap agreements with virtually every major country, which essentially facilitates their international trade without having to use dollars. And China is the world’s second largest economy to the U.S….and closing fast. Meanwhile, China and Russia have been stocking up on gold as fast as they can. It seems they’d rather hold their savings in a tangible asset versus a paper asset…like the U.S. dollar or dollar denominated Treasuries. And what does Alan Greenspan have to say about gold? Back to the Wall Street Journal article…. It seems Alan Greenspan is a fan of real assets. He sounds more like Jim Rickards (author of The Death of Money) than a former chairman of the Federal Reserve. Yet gold tanked after the Fed quit QE! And other real assets like real estate and oil have also been sliding. So is Greenspan wrong…or does he know something is coming that will change the value of the dollar? 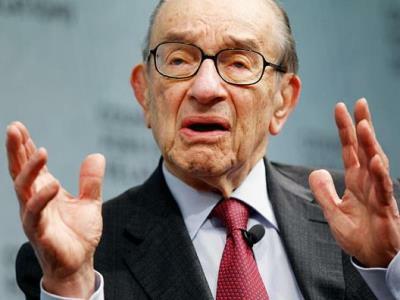 It seems that Greenspan is warning us that interest rates are likely to rise before the Fed is ready. And if that happens, the Fed is likely to get back in the bond buying business to stop it. 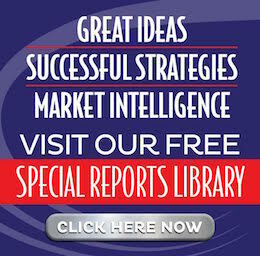 Peter Schiff says there will be more QE programs than Rocky movies. And every time the Fed exits QE, only to come back and do it again…and again (remember, this was QE3 with an Operation Twist thrown in between 2 & 3 for good measure), at some point the world loses faith in the dollar. When THAT happens, interest rates go up, the dollar falls, and real assets like gold, housing, farmland and energy will be in demand…not just for their utility, but for their ability to retain value as currencies like dollars, euros and yen fail. Fortunately, real assets are on sale right now. The dollar has been on a steady decline since Nixon took it off the gold standard in 1971. Since then, the dollar has lost a staggering 80% of its purchasing power. Ouch. The flip side of a falling dollar is that it takes more of them to buy anything that’s real. That’s why that gallon of gas you could buy for 35 cents in 1970 now costs ten times as much. And amazingly, gas is a product which has actually become cheaper to produce! It’s also why gold, which was $35 an ounce in 1971 is now $1300 an ounce. Or why that 3 bedroom house you could buy for $30,000 is now worth $300,000. In other words, equity happens to those who own real assets when a currency declines, which is the topic of this episode. We’re not making light of it (well, maybe a little), but did anyone seriously think they were going to default? No. All the financial markets just yawned and munched popcorn while they watched the same movie play that we all watched in 2011. Only this time, we didn’t even get sequestration. All the theater’s fun, but we have work to do. Now that it’s clear to all (as if it wasn’t before) that Uncle Sam has neither will nor the skill to curtail spending and Uncle Ben is handing the printing press keys to Janet Yellen-for-more QE, our focus is (as it was before) on how to position ourselves for the perpetual flood of currency. Because we know that just standing here watching the waves come in is a good way to get washed away with the rest of the debris. And all of this is happening against the backdrop of a disastrous roll out of the latest mega-entitlement program (Obamacare), as if the other two (Social Security and Medicare) weren’t already putting enough pressure on Uncle Sam’s budget. Oh wait. What were we thinking? Uncle Sam doesn’t HAVE a budget! No worries, because now he doesn’t have a credit limit either. Problem solved! Not really. More like “Problem exacerbated”. But that’s just what Uncle Sam is doing to HIMSELF. Remember, now China’s making noise about Uncle Sam’s shenanigans. China holds a LOT of U.S. debt. And they’re smart enough to know that getting paid back in cheaper dollars is a rip off. They aren’t happy. The Chinese Premier was publicly taking the U.S. to task back in 2010 for out of control spending and printing. Did we listen? Noooooo….. So the Chinese went and cut a deal with Russia to settle their trade without going through the dollar. “Don’t worry. This isn’t a repudiation of the dollar standard,” they said. No. More like a warning shot across the bow, but Uncle Sam closed his eyes. Now China is making a lot more noise about removing the dollar as the world’s reserve currency. And not only are they making noise, but they’re busy cutting many more deals to settle their international trade without using the dollar. So what? All that trade requires countries to buy dollars. That’s DEMAND. When they don’t use the dollar, demand goes down. Combine that with QE (printing), which INCREASES the supply of dollars. What happens when you decrease demand and increase supply? Prices drop. So hence, ergo, therefore my Dear Watson, etc., etc., the dollar’s future is murky. Yes, we know it’s nearly Halloween and this all seems like a nightmare. BUT….there’s actually a LOT of OPPORTUNITY in all of this. So don’t go hide under your bed sheets just yet. To thrive in all of this, you simply have to keep it real. As in, REAL ASSETS. Long time listeners know that after the Great Recession of 2008, we’ve spent a lot of time looking at the macro factors affecting real estate… because it makes no sense to build your real estate empire on the beach when there’s a tsunami coming. The last tsunami caught us myopically counting doors, which we were buying everywhere and anywhere. Today, we’re working hard to be a lot smarter. In other words, market selection, price point, product type and financing structure have become VERY important for the long term buy and hold income property investor. We learned the hard way that even through a rising tide (of easy credit) lifted all boats (asset values), when the tide recedes, only those investments with solid fundamentals weathered the storm. Now, here we are in a jobless recovery and it isn’t credit (yet) that’s pumping up asset values. In fact, interest rates are rising. The FHA (the post 2008 supplier of “sub-prime” funding) needs a bailout. And fewer people have good paying jobs. And everyone is being squeezed by rising real world costs of living (forget the bogus CPI number). So if higher incomes and looser lending isn’t pushing up values (yet), who is? Investors. Some call them speculators, but we’re not so sure. We think it makes sense to buy real estate when you can get it below replacement costs, use relatively cheap long term financing when you can get it, and pick up tax breaks; knowing that over the long haul, that debt will be easier to pay off with cheaper dollars. In other words, Uncle Sam is a big borrower and he’s rigging the system to favor the borrower. So we want to be borrower’s too. And income producing real estate provides arguably the best vehicle for shorting the dollar through long term debt. So if you’re not betting on short term price increases (it’s happening now, but could end tomorrow), then what you’re really doing is betting on LONG term inflation and controlling the asset with the cash flow and tax breaks generated by the property. In that regard, the game isn’t much different than it’s always been. In fact, it’s gotten better because the debt is cheaper and the prospects for long term inflation are high. BUT, the weak economy created by QE creates some real budget challenges for the working middle-class, which means they have a hard time handling rent increases. In fact, they may need to move to a cheaper property – maybe even a cheaper market. That’s why picking the right market and price point is important. We think there will be more demand for cheaper places in big markets with nice amenities. So proper price point and market selection can be a hedge against a falling dollar. Obviously, if the deal made cash flow sense when you bought it and you locked in long term financing, you have a much better chance of riding an asset valuation bubble up and down. And as much as we like to reposition equity (the free duplex story in Equity Happens), there’s no guarantee the financing to do it will be there when the equity is. If you can do it, great. But if not, don’t get too attached to that equity and be prepared to ride the wave for the long haul. So right now, we think the risk of rising interest rates justifies a slight premium to lock in long term financing. After all, a falling dollar means any lender who loans for profit (as opposed to the Federal Reserve, who loans for political reasons), will want higher interest to compensate for the weak dollar. So, borrowing long at fixed rates is another hedge against a falling dollar. But any time you borrow, you put the collateral (the property) at risk if you suffer disruptions in cash flow. And as asset prices rise faster than rental incomes, cap rates are pushed down, which makes it harder to have a comfortable cushion to weather weakness in rental incomes. (Cap rate is like the interest rate on the investment). Since wages are slow to respond to “stimulus”, especially since the U.S. has shipped many of its blue collar jobs overseas in the name of “free trade”, how can a U.S. landlord (an any landlord for that matter) hedge against fragile rents? Good question! And it’s one we talked about a few episodes back when we looked at cash flowing oil and gas investments as a tool to supplement cash flow. We won’t bore you with the details now, but you can learn all about it in our special report, Using Oil to Lubricate Your Real Estate Portfolio. The bottom line is oil, like other commodities, is useful for hedging against a falling dollar. Our friend Robert Kiyosaki says, “Savers are losers”. He doesn’t mean that people should consume more than they produce. Far from it. He’s saying that it makes little sense to hoard anything that is decaying. You wouldn’t buy a 10 year supply of fresh fish, right? After all, over time the value decays along with the fish. It’s a losing deal. It’s the same with the dollar. If the dollar’s value continues to decay overtime, why would you stock up on them? Sure, we know that ALL currencies are fiat (unbacked by anything other than the trust of the seller and the taxing power of the issuer), but that just makes the dollar (at best), the least rotten fish in the market. We also acknowledge that the world still does business (for now) in the dollar, so you have to enough dollars on hand to handle your daily transactions. But why hold more than necessary? And what’s the alternative if you want to remain reasonably liquid? Since real estate investors, like many businesses, tend to have quite a bit of float sitting in their bank accounts, some are taking a chunk of those dollars and converting them to gold and silver bullion. We know. It’s a “barbarous relic”. And it’s dropped in dollar value 30% in the last year (after 12 years of spectacular gains). But we’re not talking about short term speculation in metals or using metals as a vehicle to accumulate more dollars. Nor are we suggesting abandoning the fiat dollar and adopting a gold standard (though that’s not a half-bad idea!). We’re simply saying, in the context of hedging against a falling dollar (or falling currencies of all types), that time-tested hedges are gold and silver. So if you’re concerned about the long term value of the dollar, it might make sense to take 30-50% of your “always there” bank balance and put it in bullion. You can easily convert it back to dollars if needed, but the plan is to just let it sit there (and grow), as a component of your liquid reserves that is something other than dollars. It’s not only a hedge against a falling dollar, but against counter-party risk (like a Cypress-style bail in). Does your brain hurt yet? Our hands our tired of typing. Plus, it gets crowded when two guys are working on the same keyboard. So we’ll close by letting you know we’re also looking into farmland investments as a hedge against a falling dollar. It’s the same concept as combining traditional rental property with an incoming producing commodity investment like oil, except the tenants are trees and the commodity is food, not energy. All under the banner of Real Asset Investing. Because we think there’s a lot of air in the paper asset market right now, and it the stock market farts, not only will it stink, but people’s portfolios will get messy. Not pretty. So sit back, put your feet up (you’ve earned it, if you’ve read this far!) and enjoy the discussion of Real Asset Investing!